Metal Floral Hollow Lampshade Table Ceiling Pendant Light Shade Lamp Cover 5.9"
Metal Chickenwire Dome Lampshade 10" x 8.25"
Give your home decor a fun and unique look. 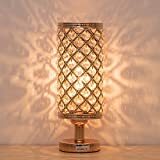 Metal Cage Buld Lamp Guard Holder for String Lights,Wall Lights,Table lamps and Pendant Lights. Size: 100 x 130mm / 3.94 x 5.12 inches. 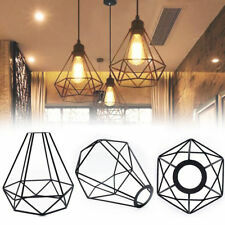 Not only one durable and safe pendant lamp, but also a nice decoration for you home, bar. Please pay attention to detail matters. Asian-styled Lamp + a beige, ribbed fabric shade + Antique Bronze finish 3 Hanging lanterns + Hi-low turn-knob switch that allows you to control the light level Dimensions: 74"(H) x 17"(W) x 7"(L). Shade: 10"(H) x 7"(D), Base: 1.5"(H) x 10"(D) UL listed. Uses (3) 60W incandescent bulbs (not included). Perfect for living room, by a side table for reading, bedroom or corner. 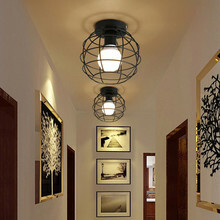 Suitable for 120+ square feet areas Material: Metal Design: Haru Remark: Lighting Direction: Up/Down. The Haru 3-Lantern tree floor lamp is a unique addition to any home. Highlighted by three, beige fabric shades with a ribbed texture, the lamp gives a subdued illumnation. Featuring a 3-way switch, the lamp can be controlled through multiple locations. Designed with an Asian-style, the table lamp has a Bronze finish that radiates an elegant and exotic look. 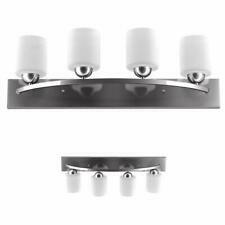 Used with (3) 60W bulbs, this lighting fixture is sure to add an element of sophistication to your design. Features: -13" Drum Shade. -Wire Shade. -Spider fitting. Product Type: -Lamp shade. Color: -Black. Shape: -Drum. Primary Material: -Metal. Attachment Type: -Spider. Dimensions: Overall Height - Top to Bottom: -11". Overall Width - Side to Side: -13". Overall Depth - Front to Back: -13". Overall Product Weight: -1 lbs. Top Width - Side to Side: -11". ASDT1023Features13" Drum ShadeWire ShadeSpider fittingProduct Type: Lamp shadeColor: BlackShape: DrumPrimary Material: MetalAttachment Type: SpiderDimensionsOverall Height - Top to Bottom: 11"Overall Width - Side to Side: 13"Overall Depth - Front to Back: 13"Overall Product Weight: 1 lbsTop Width - Side to Side: 11"
Features: -Softback bavarian gray shantung fabric with gray lining. -Top shelf hardback lampshade, found in better lighting showrooms. -Height is measured on the slant in a straight line, it is not the vertical height. 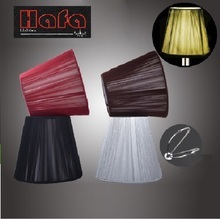 -Design to sit atop of your lamp. -Durable hotel quality shade. Product Type: -Lamp shade. Color: -Gray. Shape: -Bell. Primary Material: -Metal. Attachment Type: -Spider. Theme: -Solid. Shade Details: -Pleated. 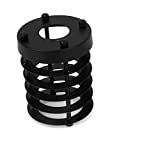 Dimensions: -Includes HC brass spider fitter 1" drop. Overall Height - Top to Bottom: -12". Overall Width - Side to Side: -16". Overall Depth - Front to Back: -16". Overall Product Weight: -1.2 lbs. 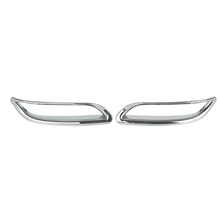 Top Width - Side to Side: -9". HMCI1266FeaturesSoftback bavarian gray shantung fabric with gray liningTop shelf hardback lampshade, found in better lighting showroomsHeight is measured on the slant in a straight line, it is not the vertical heightDesign to sit atop of your lampDurable hotel quality shadeProduct Type: Lamp shadeColor: GrayShape: BellPrimary Material: MetalAttachment Type: SpiderTheme: SolidShade Details: PleatedDimensionsIncludes HC brass spider fitter 1" dropOverall Height - Top to Bottom: 12"Overall Width - Side to Side: 16"Overall Depth - Front to Back: 16"Overall Product Weight: 1.2 lbsTop Width - Side to Side: 9"
LightAccents Metal Bankers Desk Lamp Glass Shade (Brass)Bankers desk lamp with on/off pull chainDetailed with an adjustable thick green glass shadeMetal construction with a polished brass finishPerfect for use on a desk at home or at workGreat for students and home officesIlluminate your workspace with the traditional and sophisticated styling of this antique-inspired banker?s lamp.